The American Academy of Pediatric Dentistry and the American Dental Association recommend that your child's first visit to our office should happen before their first birthday or 6 months after their first tooth appears. Taking your child to the pediatric dentist at a young age is the best way to prevent oral issues before they develop. Our pediatric dentists will assess your child's risk of cavities, discuss diet and how to care for your child's teeth, and review common age-appropriate topics such as pacifier use and thumb-sucking. Bringing your child to the dentist at an early age and consistently leads to a lifetime of good oral habits and helps your child develop healthy relationships with dentists. Drs. Brady and Lane will review your child's medical history and perform a gentle examination of the teeth, jaw, bite, gums and oral tissues. For children under three years of age, the parent may need to sit with their child as our doctors perform a knee to knee examination. We will demonstrate proper home hygiene routines and a gentle teeth cleaning may be offered to remove any plaque or tartar buildup. X-rays are not always needed for first-time visits, depending on age and case. We recommend scheduling your young child's appointment earlier in the day when your child is alert and fresh. 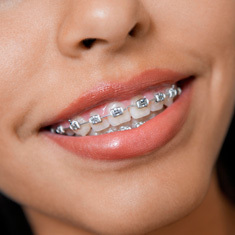 Come see how Firestone Pediatric Dentistry & Orthodontics can assist in your child's oral care. 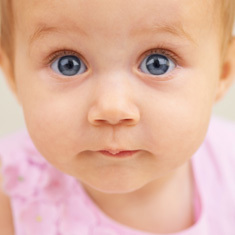 Even before your baby's first tooth appears, her gums can benefit from your careful attention. After breast- or bottle-feeding, wrap one finger with a clean, damp washcloth or piece of gauze and gently rub it across your baby's gum tissue. This practice both clears your little one's mouth of any fragments of food and begins the process of building a good habit of daily oral care. A frenum is a muscular attachment between two tissues and the two common places they in the mouth are at the base of the tongue and between the two upper front teeth.Sometimes a prominent or abnormally attached frenum will obstruct normal oral function or nursing. Our pediatric specialists will work with lactation consultants, pediatricians, and speech pathologists to consider if a treatment called a frenectomy is recommended.